Our language is only for people who listen, people who recognise the work and dedication of those who believe in quality. We strive to show that our creations speak for themselves and display a special style that isn’t limited to fashion but to a way of life. We travel searching for perfect materials with the hope that each design is a new challenge, continually creating patterns and samples in order to send our message through, and to differentiate, through each bag and piece made at our workshop. Tara Salgado is the designer that gives name to our brand, the alma mater of each and every one of our creations. Tara does not follow trends because she knows that the best fashion is high Quality, and that is what she is looking for since she decided to start her brand in 2011. The project was born out of the passion of this Mallorcan woman for one of the most emblematic artisan products of her land: the traditional Mallorcan basket. Tara's bags are not simply an accessory; they are dragonfly wings that allow you to move and be dynamic, transporting everything that you carry daily with you because it is a part of you. At Tara's we like to say that our bags are that part of your life that you always take with you: your essence. We know that every woman is unique. That's why at Tara's we make versatile bags, like dragonflies, that adapt to each of them. Tara likes this traditional, practical and authentic design of the Mallorcan basket so much that she decides to take it a step further and improve the quality of its raw material and finishes. This is the origin of the first Tara's model and the most iconic and representative of the brand: the leather basket. Tara seeks to modernize and increase the quality of the product but without changing its authenticity. 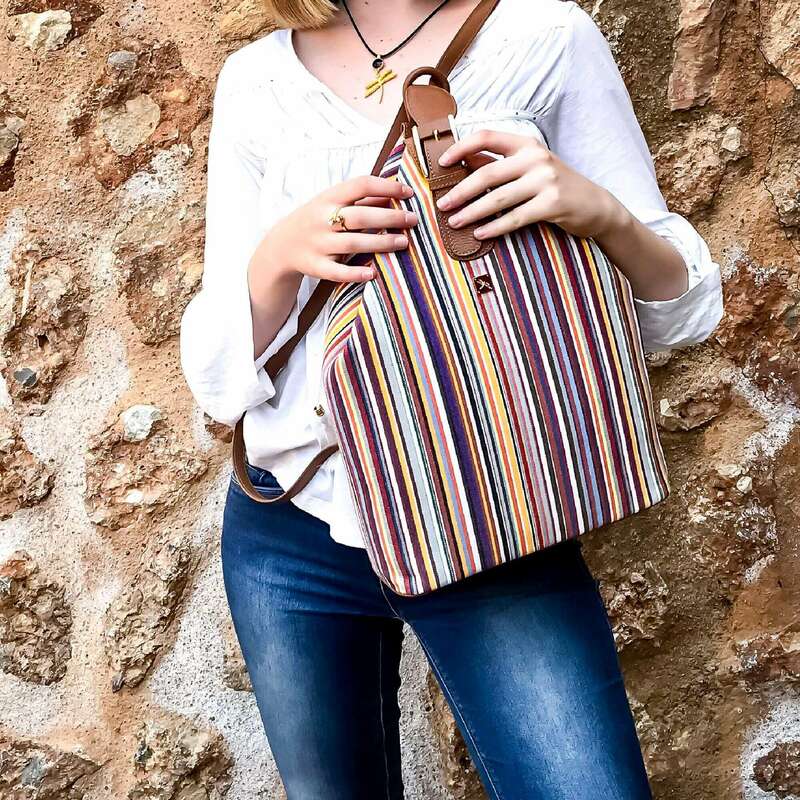 For this reason, she acquires a small handicraft workshop in Inca, the Mallorcan city of leather, where a family of artisans handles the process of creating her designs.